April 1, 2010- The corporate-backed front group Americans for Prosperity (AFP) is again leading the charge for industry against environmental protections. Earlier this month, AFP kicked off its “Regulation Reality Tour” — a roadshow through the states of pivotal senators pressuring the Environmental Protection Agency not to regulate carbon emissions, as outlined by the Clean Air Act . The campaign is part carnival, part sophisticated K Street lobbying. Attendees are welcomed by an inflatable moonbounce for children, free food and drinks, and AFP staff dressed as “carbon cops” distributing freebies to the crowd. The rallies serve as a platform for AFP to scare voters with stories of bureaucrats regulating churches and “radio controlled thermostats.” Moreover, operatives from AFP collect names and train attendees on how to lobby Congress to defeat clean energy reform. 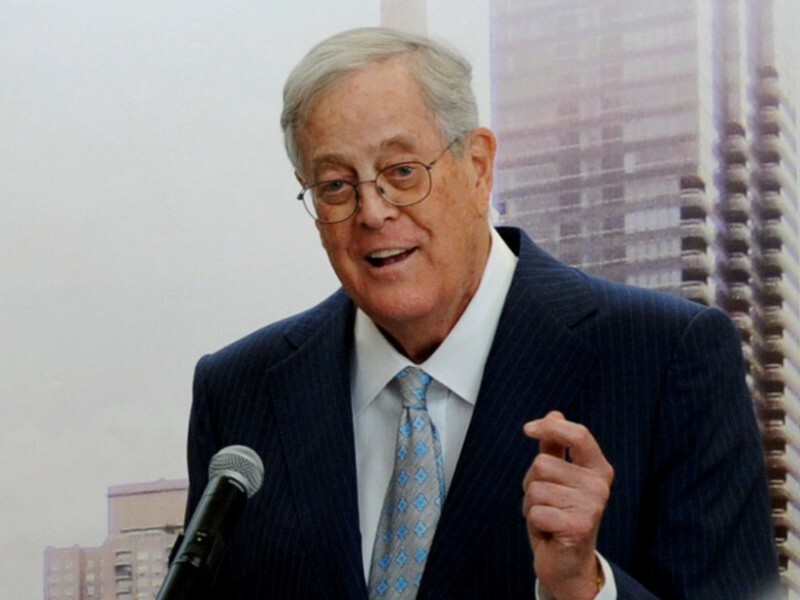 – David’s brother Charles Koch founds the libertarian think tank, the Cato Institute. – David Koch, along with political operative Richard Fink, founds Citizens for a Sound Economy to create grassroots support to for deregulation, corporate tax cuts, and other right-wing, corporate causes. Fink, who also serves as an executive at Koch Industries, goes on to direct Koch charitable foundations and the Koch-funded academic center (known first as the Center for Market Processes, later renamed as the Mercatus Center) at George Mason University. Mercatus provides thousands of scholarships to students around the country to study Koch’s free market beliefs, and trains hundreds of academics in those same ultralibertarian theories. – A market-based cap and trade program to regulate sulfur dioxide is proposed as an amendment to the Clean Air Act to eradicate acid rain. – Koch’s Citizens for a Sound Economy creates a spinoff front group called “Concerned Citizens for the Environment” to battle proposed regulations to deal with acid rain. The Pittsburgh Post-Gazette reported that the group “has no citizen membership of its own,” but produced studies arguing that acid rain was a myth and that deregulation would benefit the environment. – President Clinton calls for a BTU tax on fossil fuel-based energy. – Koch’s Citizens for a Sound Economy, along with another Koch-funded group, American Energy Alliance, works closely with the U.S. Chamber of Commerce and the oil lobby to coordinate a campaign to kill the BTU tax. Citizens for a Sound economy commissions polls, takes full page newspaper advertisements, television advertisements, and sends operatives into Oklahoma and Louisiana to organize rallies against the tax. – After months of ads, Koch’s Citizens for a Sound Economy organizes rowdy anti-tax protests to ensure the BTU tax is killed. NPR noted that one CSE-sponsored rally outside of the House of Representatives was “designed to strike fear into the hearts of wavering Democrats.” Angry protesters surrounded a man on a hunger strike in favor of the energy tax and shouted him down. Among the gimmicks of rallies were timed releases of balloons to represent dollars families would supposedly pay under the tax. After Sen. David Boren (D-OK) and Sen. John Breaux (D-LA) collapsed to the pressure, the tax died. – A Koch pipeline spill at Corpus Christi, Texas, led to a $10.5 million class-action settlement for people in the fishing industry. Almost 100,000 gallons were spilled, causing a twelve-mile oil slick in Nueces Bay and Corpus Christi Bay. – Koch’s Cato Institute develops a legal theory for environmental deregulation championed by lobbyists, GOP lawmakers to neuter the EPA. Jerry Taylor, Cato’s director of natural resources studies, argues that by granting the EPA authority to set specific rules about environmental standards, Congress was violating Article I of the Constitution, which vests “all legislative powers” in the Congress itself. 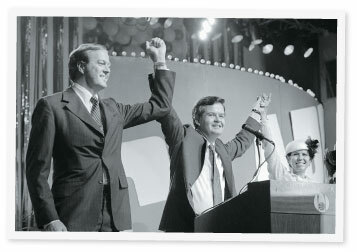 – Through a shell corporation called Triad Management and a nonprofit called Economic Education Trust, Koch secretly funnels $1.7 million dollars in attack ads to help Republicans on the eve of the 1996 elections in states where Koch owns refineries, pipelines, and offices. – The EPA proposes strengthening rules governing air pollution, regulating particles from coal plants and industrial plants which cause tens of thousands of premature deaths a year. – Citizens for a Sound Economy’s anti-EPA hysteria reaches a boiling point, with the Michigan House passing a resolution asking the EPA not to regulate barbecues. The new CSE president, C. Boydon Gray, who also served as a lobbyist for a firm representing several polluters, makes the rounds on television fighting the regulations. – Koch bankrolls the Cooler Heads Coalition, organized by Citizens for a Sound Economy and other Koch-funded groups, like the Competitive Enterprise Institute, to produce studies and ads aimed at scuttling the Kyoto climate accords. – Koch admits to environmental violations at its oil refinery in Rosemount, Minnesota, and was forced to pay up $8 million in penalties for discharging oil in streams. At the time, the fine was the largest federal environmental fine in Minnesota history. – The Texas Natural Resource Conservation Commission slaps a $171,570 fine on Koch for environmental violations at crude oil storage facilities. The company allegedly violated air quality restrictions at facilities in 32 Texas counties. 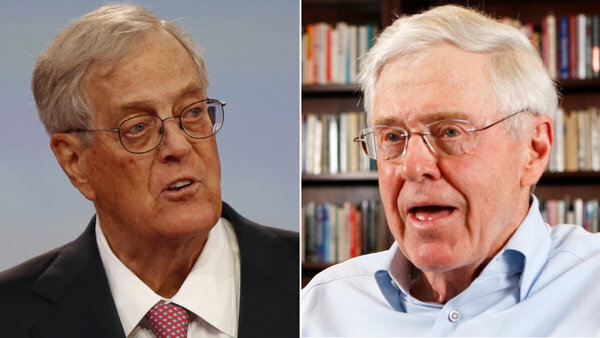 – Koch pours $800,000 to Bush and Republicans for the 2000 election, funnels up to $20 million into various conservative think tanks and organizations. – In the months preceding the presidential elections, the Koch faced a 97-count federal indictment charging it with concealing illegal releases of 91 metric tons of benzene, known to cause leukemia, from its refinery in Corpus Christi, Texas. After Bush took office in 2001, 88 counts were dropped. Two days before the trial, then-Attorney General Ashcroft agreed to a plea bargain. Koch pled guilty to falsifying documents, all major charges were dropped and the company settled the lawsuit for $20 million, a small part of the possible $350 million in fines. This was the fifth largest ever settlement for criminal environmental prosecutions. – The Bush administration appoints Koch Industries lobbyists and political operatives to key environmental positions throughout the federal government. For instance, Koch Industries lobbyist Elizabeth Stolpe is appointed associate director at the White House Council on Environmental Quality.